Baobab – boost your nutrient intake with one simple serving! Unlike our distant ancestors, we no longer hunt wild animals or forage for fruit and nuts, but instead depend on our local supermarket for all of our nutritional needs. Unfortunately, the food that these tend to stock largely comes from the bio-industry and is contaminated with pesticides, fertilisers and other harmful toxins. This, coupled with the intensive farming methods used in its production, severely impacts our food’s vitamin and mineral content, which has declined dramatically in recent years. Take Popeye’s favourite, spinach, for example – the leafy green has seen a jaw-dropping 76% reduction in calcium and a 65% reduction of vitamin C in just seventeen years! Not surprisingly, many of us are turning to pills and other dietary supplements to plug our nutrient gaps. Sadly however, our bodies find it extremely difficult to absorb the isolated vitamins and minerals that these contain, and would prefer the spectrum of complementary and supportive nutrients that are typically found in pure, unprocessed superfoods, such as organic baobab powder. Organic baobab powder is made from the dried fruit of the baobab tree – a tree native to the tropical island of Madagascar, which due to its isolated location just off the Southeast coast of Africa, boasts a large number of birds, mammals and plants that exist nowhere else on earth. Some specimens of baobab tree, which is known by a plethora of different names, including the ‘tree of life’, ‘boab’, ‘boaboa’, ‘tabaldi’, ‘bottle tree’, ‘upside down tree’ and the ‘monkey bread tree’, are thought to be more than five thousand years old. 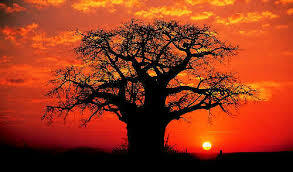 Indeed, many consider the baobab to be scared and believe that its branches, which resemble roots, point to the sky in order to receive heavenly wisdom and strength. One of the largest trees on our planet, with trunks reaching an impressive 11 meters in diameter, it’s also one of the most versatile. Its leaves are used in the treatment of asthma and allergic skin conditions, whilst both its bark and fruit are used to prepare tasty jams, butter and nourishing cosmetic products. During the dry season, the trunk of the baobab, which can store up to 120,000 litres of rainwater, is also a valuable source of drinking water for the locals. And the tree’s exotic fruit, which is similar in size to a coconut, but with a smooth-as-velvet skin, is used to fashion musical instruments and to prepare the nutrient-dense superfood extract, organic baobab powder. Organic baobab powder is utterly brimming with natural goodness, such as fibre (just one heaped tablespoon of organic baobab powder provides 33% of your Recommended Daily Allowance of heart-healthy fibre), vitamins A, B1, B2, B3, B6 and C, the minerals, calcium, potassium, magnesium, iron, manganese, phosphorus, zinc and molybdenum, and a wealth of antioxidants. And, as organic baobab powder has such a high nutritional value, one simple serving is extremely effective in addressing any nutrient deficiencies that you may currently be concerned about. The fruit of the baobab tree is known as ‘King of Super Fruits’, thanks to the extraordinarily high quantity of beneficial nutrients that it contains. Below are just four examples of how organic baobab powder can demonstrably boost your nutrient intake. One of the few plant sources of calcium, gram for gram, organic baobab powder contains twice as much calcium as milk and one single serving will provide you with some six percent of your Recommended Daily Allowance. Which is why many African women traditionally consume baobab fruit pulp throughout the term of their pregnancy and while breastfeeding. Calcium, which is the most abundant mineral in your body, has several essential functions. It helps to build strong teeth and bones (in fact a lack of calcium can cause rickets in children and lead to osteoporosis in later life), regulates muscle contractions (including your heartbeat!) and ensures that your blood clots properly. According to the NHS, calcium may also help to lower blood pressure and is thus a valuable tool in the fight against hypertension (high blood pressure) that due to its lack of visible symptoms is often referred to as the ‘silent killer’, and can lead to heart attack, stroke or kidney disease. The calcium in organic baobab powder may also help to protect you from colon and breast cancer – scientific research published in the Journal of the National Cancer Institute suggests that calcium ‘seems to protect high-risk people from developing the polyps that can lead to colorectal cancer’, whilst other studies, such as a population-based case-control study in the Netherlands, indicate that women consuming high levels of both dietary calcium and fibre may have a decreased risk of breast cancer. A lack of vitamin C can trigger a condition known as scurvy, which causes muscle and joint pain, lethargy, skin rash, bleeding and swelling of the gums. As your body cannot manufacture vitamin C itself, you must obtain it from your diet – organic baobab powder contains almost 450 mg of vitamin C per 100 grams, and a single serving supplies you with a pleasing twenty-five percent of your Recommended Daily Allowance. Vitamin C has several important roles – it helps to protect your cells and boost immunity for example, and is commonly taken to prevent or treat common colds and flu. According to Mark Moyad, lead researcher of a study published in Seminars in Preventive and Alternative Medicine, which analysed 100 studies over 10 years, ‘higher levels of vitamin C may be the ideal nutrition marker for overall health’. He insists that ‘the more we study vitamin C, the better our understanding of how diverse it is in protecting our health from cardiovascular, cancer, stroke, eye health and immunity to living longer’. Vitamin C also aids in the healing of wounds and is crucial for the maintenance of healthy connective tissue and the manufacture of collagen, a natural substance that is known to help reduce fine lines and wrinkles and keep your skin looking noticeably younger for longer. A 2007 study in the American Journal of Clinical Nutrition demonstrated that those enjoying foods rich in vitamin C benefit from significantly fewer wrinkles and less age related, dry skin. Lastly, as vitamin C can help to regulate blood sugar levels, it’s believed to help those with diabetes too. As well as triggering abnormal heart rhythms, a potassium deficiency can cause a drop in blood sugar levels, which is why diabetic patients in particular, are advised to keep an eye on their potassium intake. Organic baobab powder contains a whopping 2.7 grams of potassium per every 100 grams – four times as much as bananas and far more than many other fruits, pulses and vegetables, including spinach, lentils and blackcurrants. Potassium is responsible for many crucial functions, such as controlling the balance of the fluids in your body that keep your organs functioning correctly, and triggering your heartbeat. Regarded as a key bone nutrient, potassium also neutralises metabolic acids and actively reduces urinary calcium loss, thus helping to conserve your calcium levels. Potassium also aids in healthy brain function – increased potassium levels allow more oxygen to reach your brain, where it stimulates enhanced neural activity and cognitive function. A series of studies published in the British Medical Journal revealed that a higher potassium intake could cut the risk of stroke by as much as 24 percent. Potassium is helpful in reversing the role of sodium too, and similar to calcium, may also help to lower blood pressure and reduce your risk of heart attack. In a major study, patients suffering from high blood pressure who were given potassium supplements, witnessed an 8-point reduction in their systolic blood pressure. With an ORAC rating (the system used to measure antioxidant levels in food) of more than 1,400 per gram, organic baobab powder is an excellent source of antioxidants. In fact, organic baobab powder contains 4 times more antioxidants even than blueberries and six times as much as cranberries. Antioxidants are molecules that inhibit the oxidisation of other molecules and thus help to protect your body’s cells from damage caused by free radicals. Antioxidants help to boost your immune system, lower cholesterol levels, prevent premature aging and reduce your risk of both cancer and heart disease. Vitamin C – as an antioxidant, vitamin C can help to prevent cataracts (the clouding of the lens of your eye which, left untreated, can lead to blindness). It also prevents free radicals from damaging artery walls and stops cholesterol from oxidising in your bloodstream, ultimately reducing your risk of heart disease and stroke. In addition, its antioxidant function in the lungs and airways reduce inflammation and is especially beneficial for asthmatics. Bioflavonoids – natural yellow plant pigments that have shown a wide range of biological and pharmacological activities in in vitro studies. Scientists believe that bioflavonoids can combine with vitamin C for a more potent antioxidant effect, which specifically preserves those chemicals that are useful to your body’s immune system and can fight off chronic disease. Health experts also think that bioflavonoids can help to prevent atherosclerosis (and thus contribute to improved heart health), combat certain types of cancer, and also improve the health of your teeth and gums. Provitamin A – the precursor of vitamin A and retinol, which has similar antioxidant effects to the vitamin itself, including neutralising free radicals to reduce the risk of bladder, mouth, larynx, lung, breast, oesophagus and colon cancer. It also plays an important role in the synthesis of eye pigment, aids in the healing of wounds, and protects your skin from sun damage. Organic baobab powder boasts a deliciously fruity flavour that many liken to a cross between grapefruit, pear and vanilla. Organic baobab powder is the perfect addition to your daily smoothie, shake or juice and can be used to enhance a wide range of sweet and savoury rawfood meals and snacks, including raw chocolate, fruit salads, cereals and desserts. attention? I mean Baobab – boost your nutrient intake with one simple serving! 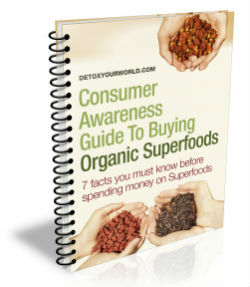 | Superfood blog – Healthy, Rawfood LifestyleSuperfood blog – Healthy, Rawfood Lifestyle is a little plain.